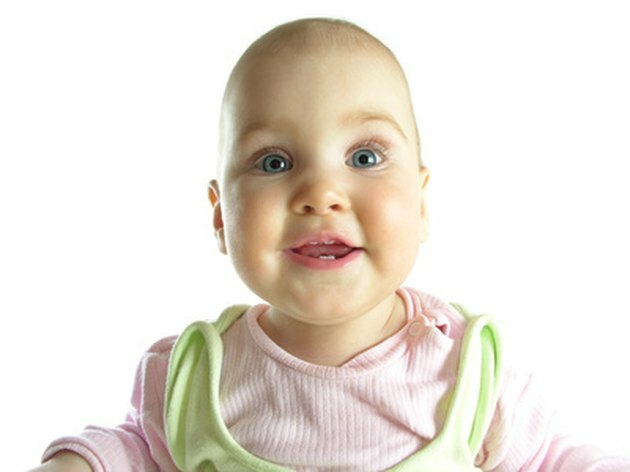 Babies are born with two soft areas on the top of their heads, which are called "fontanels." This area is where your baby's skull bones haven't yet grown together. The soft spots make vaginal delivery possible and allow for your baby's brain to continue to develop after delivery. A baby's skull is made up of seven bones. These bones are held together with joints called cranial sutures. In the front of the baby's skull, the sutures intersect in the large soft spot on the top of the baby's head. Normally, the sutures are flexible until the bones fuse. These bones normally do not fuse together until the age of 2. A baby's head has two soft spots. The larger one in the front of the head is the anterior fontanel. This soft spot normally closes by the time the child is 2 years old. The smaller posterior fontanel is near the back of the head and normally will close by the time the baby is 6 to 8 weeks old. Fontanels allow a baby's large head to move through the birth canal. They also allow room for your baby's rapidly growing brain in the first 12 to 18 months after birth. A baby's soft spot should appear flat on the baby's head. A sunken soft spot may be a sign of dehydration, and a bulging soft spot may be a sign of meningitis or hydrocephalus, which is excess fluid built up in a baby's brain. Hydrocephalus is sometimes present at birth but may also develop later. According to MayoClinic.com, about one out of 500 children are born with this disorder. Common symptoms of hydrocephalus in infants include: an unusually large head, a bulging soft spot on the top of baby's head, vomiting, sleepiness or seizures. Risk factors for hydrocephalus include an infection within the uterus during pregnancy or problems in fetal development. This disease is usually treated with shunt-placement surgery or ventriculostomy, followed by therapy with a specialist. If you have any concerns about your baby's soft spot, you should contact your pediatrician.